What are the benefits of body exfoliation? What is the Lancer Method? Daily full-body scrub downs? A Hollywood dermatologist is popularizing this new trend among his celebrity clientele, claiming you can exfoliate your way to younger-looking skin. Pay attention, because your shower routine is about to get longer. Your anti-aging regimen shouldn’t stop at your neck, or even your décolletage. Arms, feet, knees, thighs, and even your backside are all equal opportunity candidates for wrinkles that will signal your age to the world. A generous, daily usage of SPF is what dermatologists usually recommend for the body, but that won’t keep wrinkles at bay — if the sun doesn’t get you, your body’s natural aging process will. A full body scrub can help promote cell turnover and boost collagen production. Below, some advice from the experts. After the age of 20, the body loses roughly 1% of its collagen every year. It’s this collagen matrix that keeps skin looking firm and youthful. Expensive surgical procedures and non-invasive treatments such as radiofrequency therapy and dermal fillers can help replenish lost volume and tighten loose skin, but many women and men overlook an easy procedure that can be performed at home: exfoliation. Exfoliating is a known method for stimulating collagen naturally in the body. Remove the epidermal stratum corneum — the outermost layer of the skin — and the body will jump-start the skin’s renewal process, which in turn will generate new collagen. That’s right — every time you exfoliate you’re not just wiping away dead skin cells and revealing a brighter complexion, you’re also telling your body to produce more of these skin-plumping cells. Lancer converts: Victoria Beckham, Scarlett Johansson, Ryan Seacrest, and Kim Kardashian. The Lancer Method is a three-step skincare routine that includes daily exfoliation as a crucial step in the battle against visible signs of aging. What separates this regimen from what you normally hear at most dermatologists’ office is that exfoliation is a daily rather than weekly practice, and is also meant for the entire body. 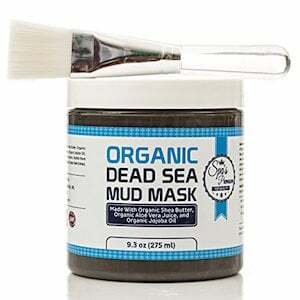 Slough off dead skin cells and surface debris to facilitate a deeper clean. Remove any leftover dead skin cells and impurities while boosting hydration and balancing pH. Bring oxygen to the skin and improve cell function with antioxidants and other nutrients. According to Dr. Lancer’s methodology, you should spend a minute exfoliating each body part, every day. In his anti-aging skincare book, Younger, Dr. Lancer, who started his Beverly Hills based practice in 1983, explains that this system keeps the wheels of collagen production turning even as men and women begin to age and the cell renewal process slows down. But some dermatologists think that its benefit could be overstated. New York-based dermatologist Dr. Marnie Nussbaum says that the primary benefit of exfoliation is to remove dead skin cells, although in theory it can speed up the process of thickening the collagen. “For more effect, you need to combine it with antioxidants, vitamin A lotion, and sunscreen,” Nussbaum adds. If you’re not willing to take Dr. Lancer’s word that exfoliation works as an anti-aging method, perhaps you will trust former supermodel Christie Brinkley, who in an interview with Harper’s Bazaar explained that exfoliating “from top to bottom” is an important part of her daily beauty routine. Although diet, exercise, and exceptional genes probably play a major role in Brinkley’s youthful appearance, scrubbing down is another weapon in her arsenal that keeps the signs of aging skin at bay. Convinced? Before you break out the loofah pad or whip up a DIY exfoliation recipe in the blender, keep in mind that there are several ways to cleanse the skin, and not every body scrub is good for the skin. 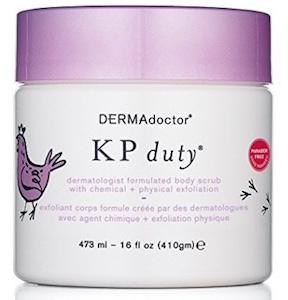 There are three types of products that you can use: enzymatic, physical, and chemical scrubs. Your choice will depend on your skin type and individual concerns. For instance, DIY scrubs combined with retinoid creams are a great way to prevent ingrown hairs. If you have sensitive skin, speak to a dermatologist before using any of the harsher chemicals or abrasive natural products. Enzymes are the holy grail of exfoliation. Natural, plant-based, and gentle on the skin, enzyme exfoliants work by breaking down skin cell proteins into smaller polypeptides or amino acids. However, as a product they often fall short. That’s because enzymes are notoriously unstable after a package is opened and is exposed to temperature changes, which means that over time an enzyme-based lotion or body wash will becomes less effective. Chemical exfoliants such as alpha-hydroxy and beta-hydroxy acid help your body dissolve old cells and have a longer shelf-life than enzymes. Concentration and pH are factors for efficacy with some acids, such as glycolic acid, which needs to have a low pH and a concentration level of at least 8% to work optimally. Even if you find a pH-balanced product, not every skin type will tolerate chemical exfoliation, so many dermatologists recommend performing a skin patch test prior to use to make sure it won’t cause irritation. Another way to remove dead cells is to use physical exfoliants, which come in a range of ingredients and textures, from ground up apricot pits to pulverized quartz. Since exfoliation is meant to be a daily event, it’s important to use a product that is effective yet gentle on the skin. Avoid anything too rough or possibly irritating, such as sugars, which can end up causing more damage than good. With the right tools for the job, you can buff away those dead cells every day. 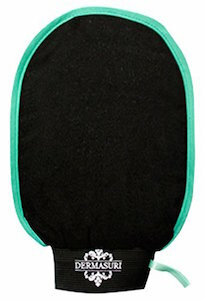 Here are some of the most popular at-home body exfoliation products and devices. This probably the most simple exfoliation option available. Using only the fabric mitt and water will leave your skin feeling smoother — you’ll actually see dead skin roll off your body. Whether your dry skin is caused by extreme cold or heat, the Pulsaderm Buddy can gently scrub it away. This cordless device can also be used to remove makeup and speed up your evening routine. Replacement brushes ensure that you can continue using the Buddy for years to come. As an upgraded alternative to the Pulsaderm Buddy, this ergonomic, waterproof device comes with a few extra features to sweeten the deal. The Mia’s nine brushes offer different scrubbing options, including a gentle cleanse brush, a deep pore facial brush, and a hydrating brush. This mask combines six of the best natural topical products into one convenient mask: shea butter, aloe vera juice, sunflower oil, jojoba oil, hickory bark extract, and calendula oil. While it’s mainly used as a facial mask, Spa Premium’s Dead Sea Mud is also recommended for treating back acne and dry skin on your ankles or elbows. The four-piece kit comes with a conditioning body wash, an exfoliating body scrub, a body hydrating cream, and a climate control lip treatment. Using all four regularly helps provides long-lasting hydration while removing dirt and dead skin cells. This long-lasting moisturizer uses alpha hydroxy acid AHA to treat dry and wrinkled skin. 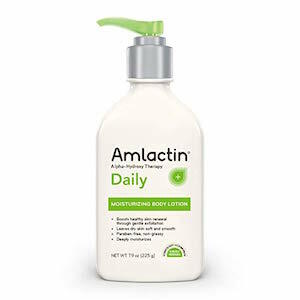 Both fragrance and grease free, AmLactin’s lotion can be used on the entire body. Alpha’s body lotion uses AHA to remove dead skin cells. When incorporated into a daily skin care regimen, it helps reduce signs of aging and boost collagen production. Body Clear’s key ingredient is 2% salicylic acid. It’s mainly used as an acne treatment, and should be avoided if you have dry skin. 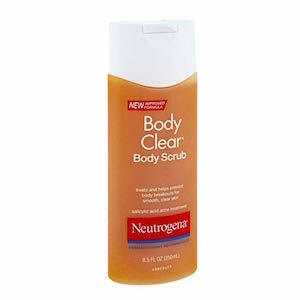 In fact, this body scrub may actually worsen dry skin and itchiness if you are especially prone to these issues. Polish by Lancer is an anti-aging exfoliator that helps manage blackheads, enlarged pores, dryness, and uneven skin texture. 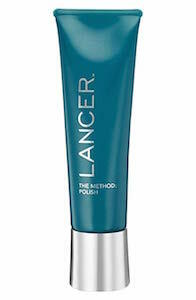 As part of Lancer’s three-step routine, it can be used alone or in combination with Lancer Cleanse and Nourish. This best-of-both-worlds scrub combines physical and chemical exfoliators in one single product. The vegan-friendly scrub’s key component is AHA, making it a great option for smoothing skin. In may cause the skin to become more vulnerable to sun damage, so an SPF 30 or higher sunscreen is also recommended. 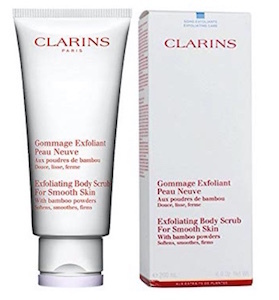 Bringing together the skincare benefits of bamboo, moringa, and shea, Clarins’ Body Scrub exfoliates and polishes the skin while improving collagen production. It’s meant to be used as the starting point of your beauty routine to wash away dead skin cell and prep the skin for a nourishing treatment to follow. If adding another product to your medicine cabinet doesn’t sound appealing, there is always the old standby manual exfoliation using a clean washcloth and some elbow grease. 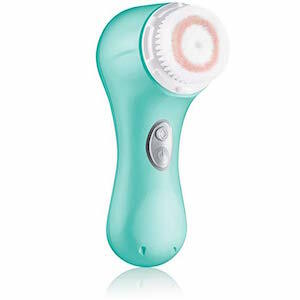 Tools such as the Clarisonic Smart Profile can make full-body exfoliation easier, but if you don’t want to drop hundreds of dollars on a rotating brush you can also use cloths such as the DermaSuri mitt or so-called “Italy Towels,” which in fact are especially popular among Korean women, although this requires more physical exertion than other options. If manual is the route you choose, most dermatologists agree that you should be wary of the old-school exfoliators, such as loofas, hemp towels, and brushes. Although they may be effective, they also may be covered in bacteria that lead to infections or rashes. Silicone exfoliators have been shown to be bacteria, mold, and fungi-resistant, but as with any device you use on your body — including Clarisonic brushes — proper cleaning is still recommended. You may be asking, if it’s so great for anti-aging, why hasn’t this cheap and easy beauty tip gone viral? According to Dr. Lancer, it’s because of an abundance of caution and some outdated knowledge about the process. Dr. Lancer, who claims he actively treats 30,000 patients from all over the world, believes that exfoliation can mean different things to different people, and depending on whom you ask, you will receive different advice about how often you should perform this skin rejuvenating regimen. Dermatologists may assume you’re using harsh products that could cause leave your skin more vulnerable and inflamed, and if that’s the case, using it sparingly is best. That said, many people don’t have the time or energy to add such a labor-intensive step to their daily routine, or simply can’t afford expensive body polishes (Dr. Lancer’s physical exfoliant retails for $60 a bottle). Still, doing something is usually better than doing nothing at all. If you’re already applying body lotion daily, switch to one that includes an exfoliant. If you’re soaking in a long bath, use a clean washcloth to scrub your skin thoroughly. Alternatively, try ‘dry brushing’ during some downtime in front of the television. In addition to exfoliating your skin, this simple practice is known to help treat cellulite by increasing blood circulation. Whatever method you choose will yield results on some level. » For more advice on full body exfoliation, use Zwivel’s online consultation tool to contact a board-certified dermatologist in your area.